Have you read any A M Homes, the American author who has walked off with the Women’s prize for fiction 2013? 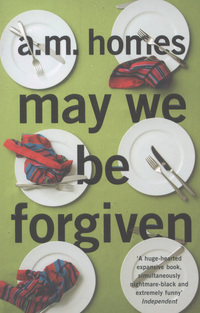 If not, explore our A M Homes collection which includes May We Be Forgiven, the prize winning title which is her sixth novel and published by Granta. Synopsis – Harry has spent a lifetime watching his younger brother, George – a taller, smarter and more successful high-flying TV executive – acquire a covetable wife, two kids and a beautiful home. But Harry, a historian and Nixon scholar, also knows George has a murderous temper, and when George loses control the result is an act so shocking that both brothers are hurled into entirely new lives, in which they both must seek absolution.